These are designed to add sparkle to your venue, they can be situated behind any focal point in the room such as ‘top table’ at a wedding or formal occasion, or behind a stage for a band, DJ or entertainer. Self supporting frame is built with the Star-Lit backdrop securely fixed completely covering all framework. 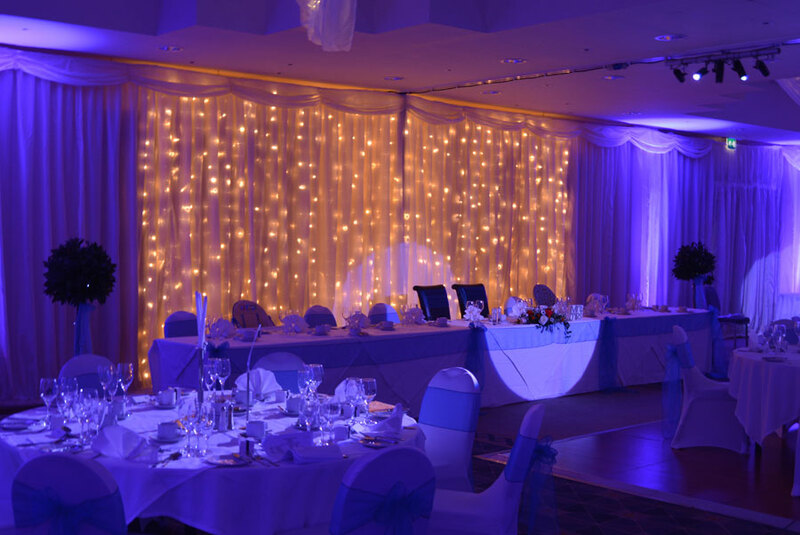 Small bright white LED’s then twinkle in sequence to help create a truly magical atmosphere. All Star-Lit Backdrops are provided in Black or White with white LED’s.